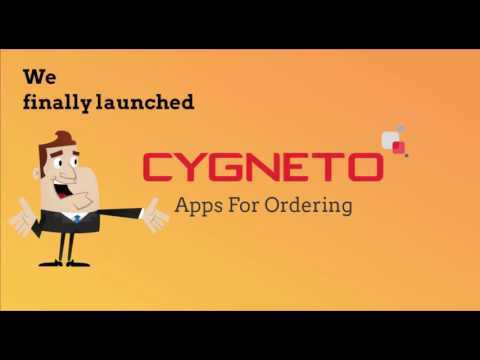 Cygneto Apps for Ordering is committed to provide solutions across the globe and industries. Cygneto is a preeminent technology platform, empowering manufacturers, distributors, wholesalers & retailers to leverage the power of sales applications and solutions and fast-track their business growth. The organization offers a suite of mobile applications for sellers from domestic and international markets. These include: Cygneto Field Sales, Cygneto Mobile, Cygneto Web and Cygneto Print Commerce. The organization enables mobile solutions that allows their clients to streamline processes, track daily activities of sales team and gain a competitive advantage in the saturated market. Cygneto apps simplifies the entire process with innovative and radical solutions that are cost-effective, efficient and profitable. Merchants can run their own campaigns, give timely discounts to their target audience and sell their products without paying any commission to third parties. Cygneto is focused on serving the B2B/B2C segment who wish to incorporate sales automation within their business cycle & create their online presence and start selling through website/mobile platforms. Cygneto enables mobile solutions that allow their clients to streamline processes, track daily activities of a sales team and gain a competitive advantage in the saturated market.